Welcome back to the blog! We’ve had a lot to celebrate around here and it’s kept me busy. 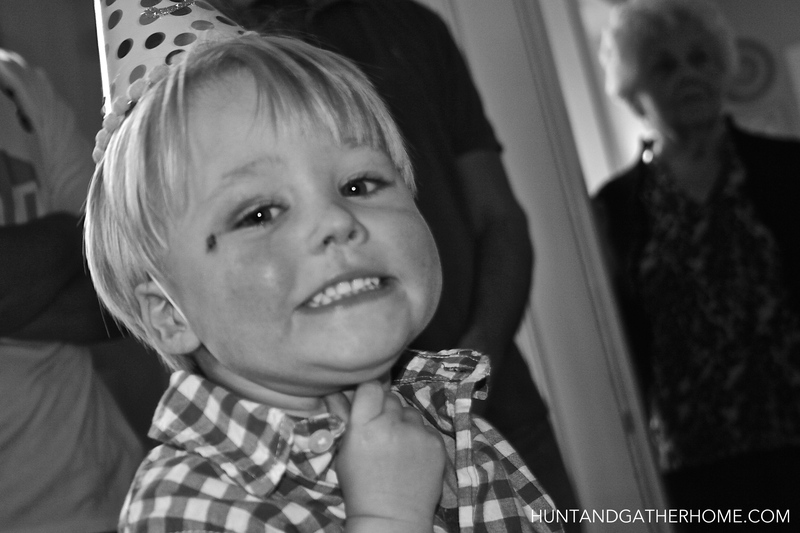 From birthdays to Mardi Gras to finally painting my living and dining rooms, I’ve been on the go, but I’m glad to have the chance to sit down and share with you the party animal celebration we recently held for my youngest son. We managed to keep it simple, sweet, and handmade. The party was held at my home and we included a handful of family and friends. The kids entertained themselves in the backyard and came inside briefly to eat cake and ice cream. 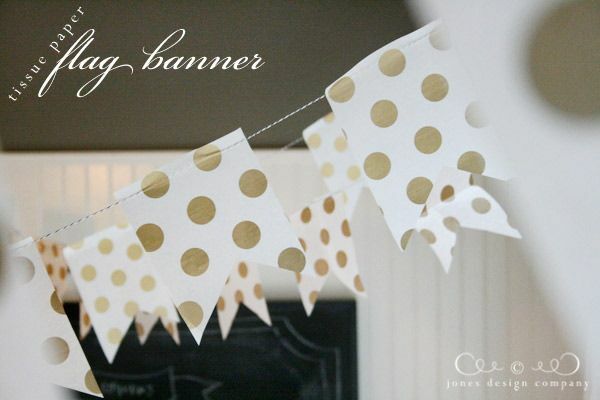 Planning on this, I kept the decorations simple, yet fun. After posting several fun ideas for a handmade banner, I chose to use what I had: leftover striped party favor bags, washi tape, and baker’s twine (tutorial coming soon). The bags are originally from Target and were stashed in my party box. I realized they were the perfect size for a banner and would prevent me from spending the time cutting out scrapbook paper. 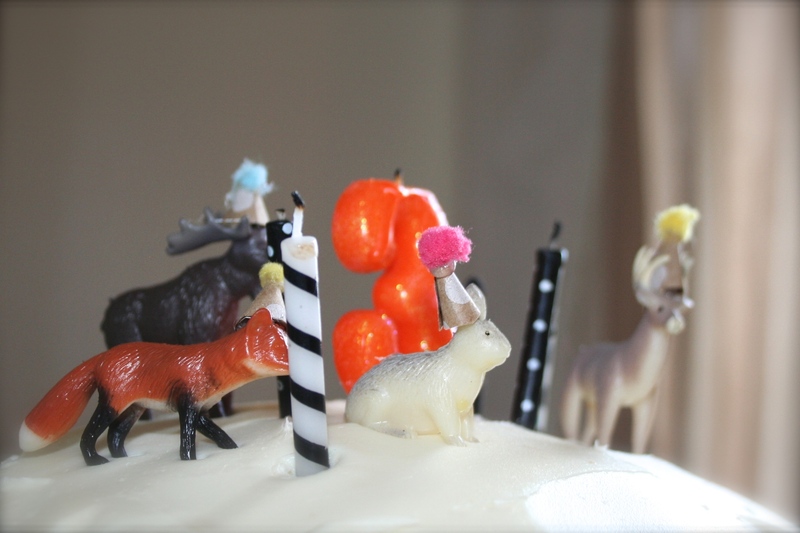 I decided to go with a homemade cake and store-bought cupcakes with the intention of topping the cake with “party animals,” i.e. 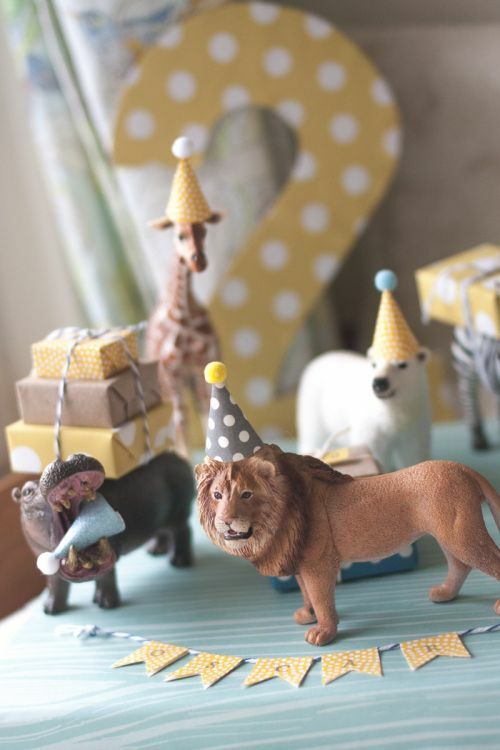 plastic animals with party hats. It was fun to accessorize the little woodland forest animals. Completely unnecessary, but fun. Using wrapping paper and a mini pom-pom garland I already had, I cut out small bits of paper, folded them into party hat shapes, secured with a hot glue gun, and glued a colorful pom on top. They were easy and fun to make and really made the cake. 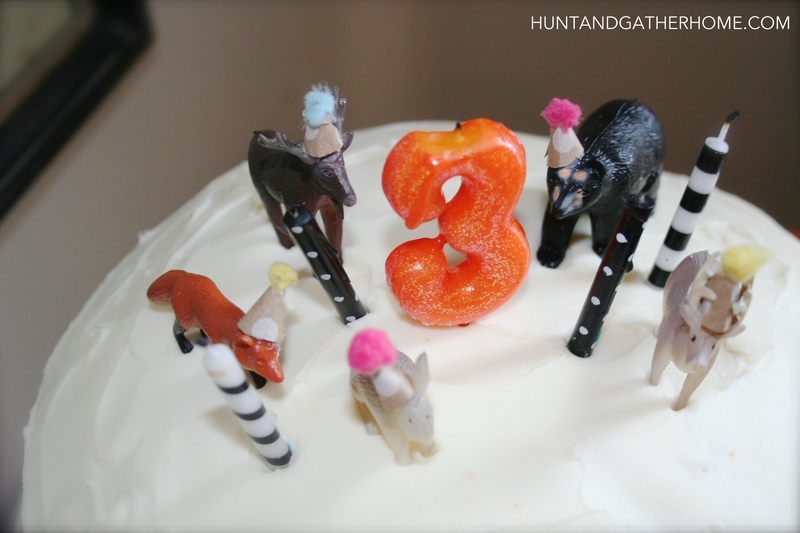 Since the cake toppers had party hats, the kids needed them, too, right? 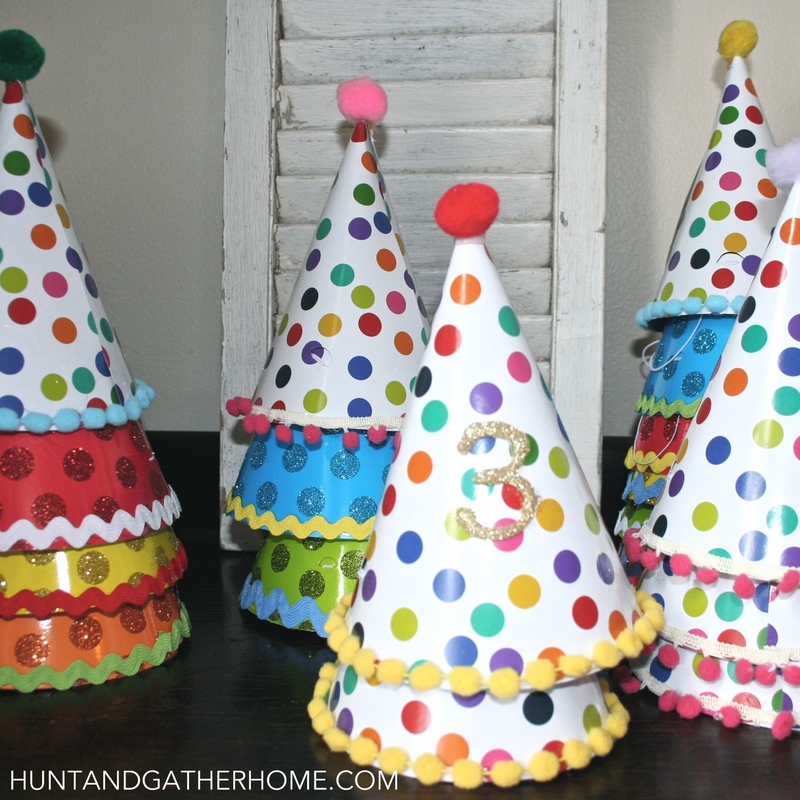 Instead of making these from scratch, I found pre-made party hats at Target and Hobby Lobby and embellished them with rick-rack, pom-pom garland, and poms on the top. I added a hot-glue glitter three on the birthday boy’s hat. Again, the hats were quick and easy to make and turned out really cute. The kids all wanted to wear them when they ate their cake and ice cream! The birthday boy enjoyed his hat and kept in on for quite a while! 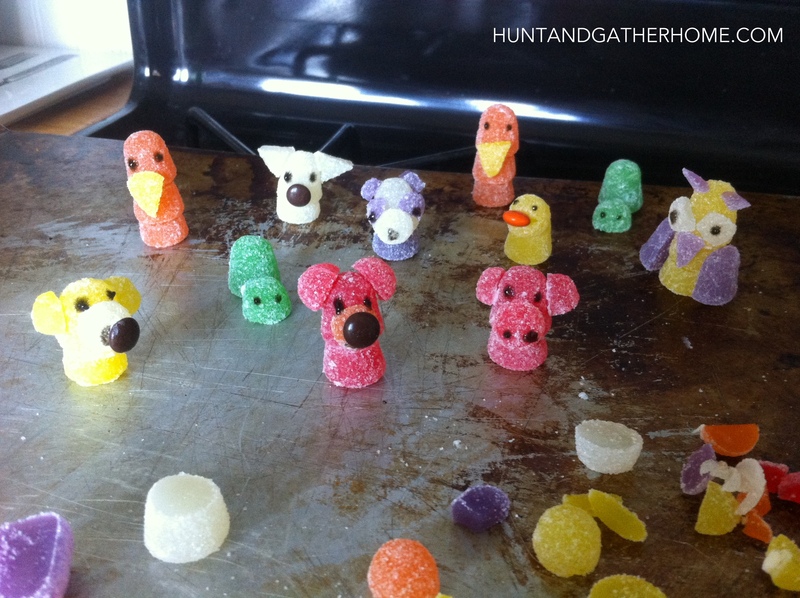 I didn’t get around to making the gummy animals for the birthday party, so I decided to make them for the low-key class party. Using gumdrops, mini M&Ms, and a mini tube of icing, I created these cute characters you see above. My favorite may be the turtle and the duck! Placed on top of store-bought mini cupcakes they look even more precious, but not too precious to eat! Most of the 2 year olds in my son’s class ate their gummy animal along with their cupcake. They were a hit and I will definitely make them again! 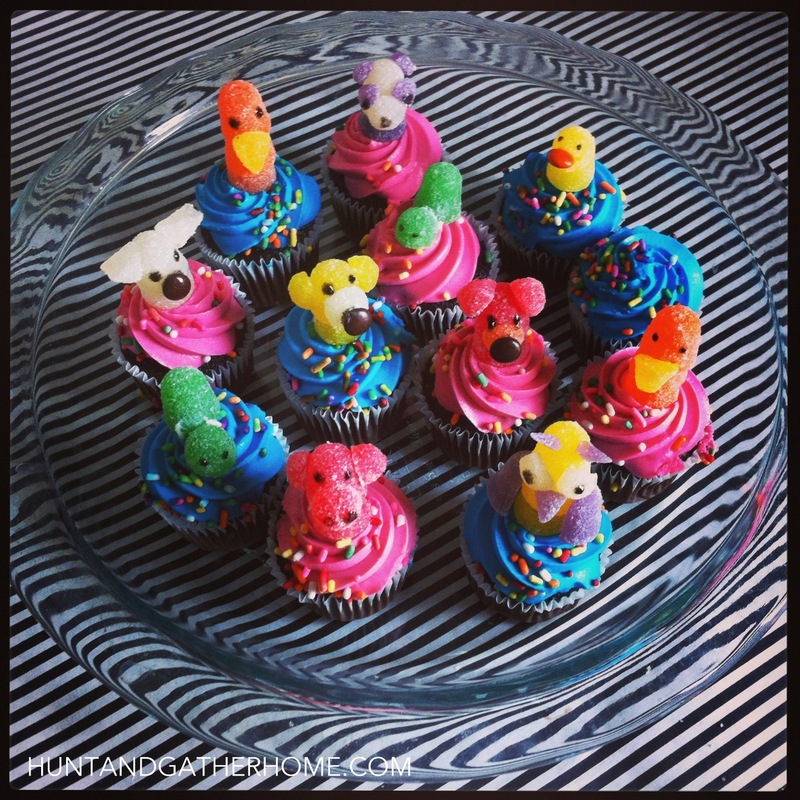 The party animals theme proved to be a fun and simple one to pull off. I had a fun time planning and preparing for this party and the kids (and parents) all seemed to enjoy themselves, which is what it’s all about! It’s February! In our house, this means its time to celebrate my No. 2 – one of the sweetest little guys you ever will meet. I’ve written before about his nursery and transition to a big boy room (still getting around to that final room reveal post), but at the end of the week he’ll turn three, so right now I’m focused on planning a sweet, simple, and fun afternoon party for family and friends. 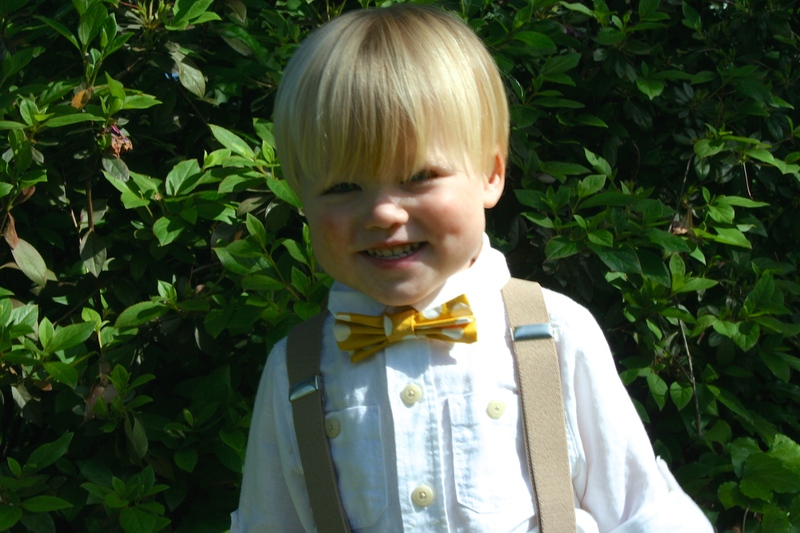 I love planning events for children – it’s just fun to make things fun for them! 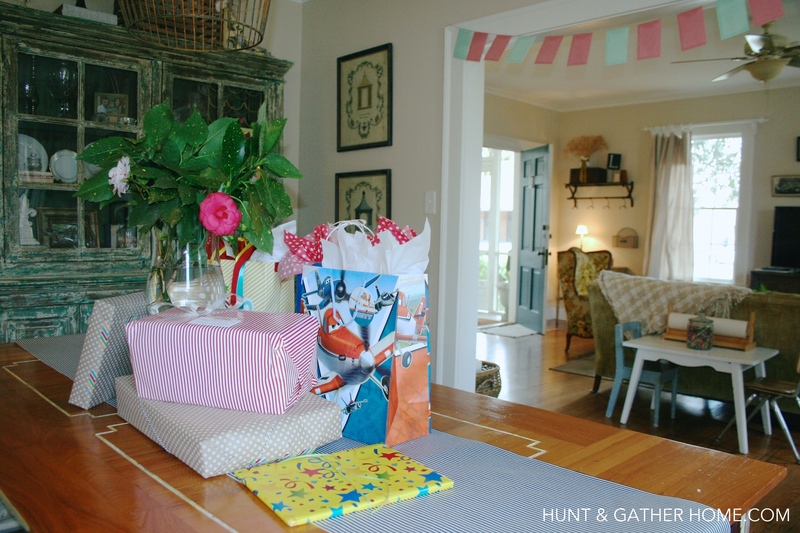 Sometimes I have a party theme in mind and other times I’m inspired to create a theme based on a photo, activity, color scheme, or any other random element that catches my eye. 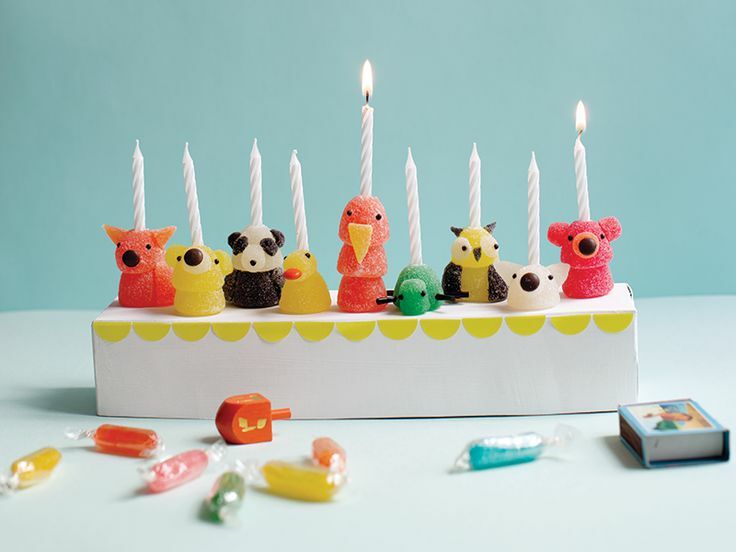 This past December, I found this adorable photo of a gummy animal menorah in a magazine. My first thought was that the little gummy creatures would be adorable on a birthday cake, so I tore out the photo with this party in mind. Planning with these little cuties in mind, I decided to go with a party animal theme. 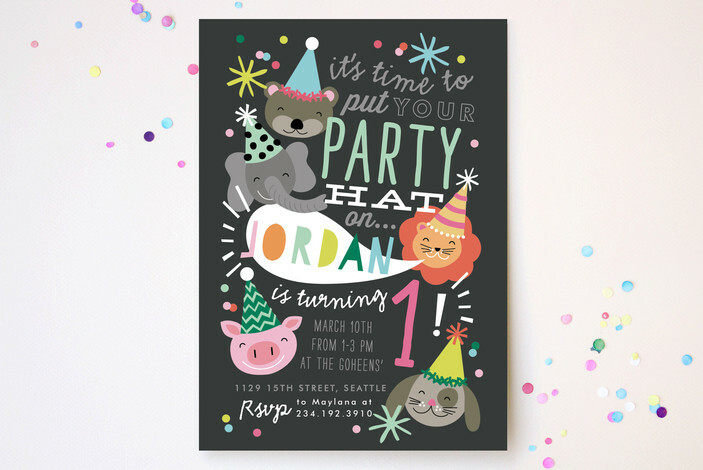 I found these fun invitations on minted.com and personalized them for my own little cutie’s birthday. 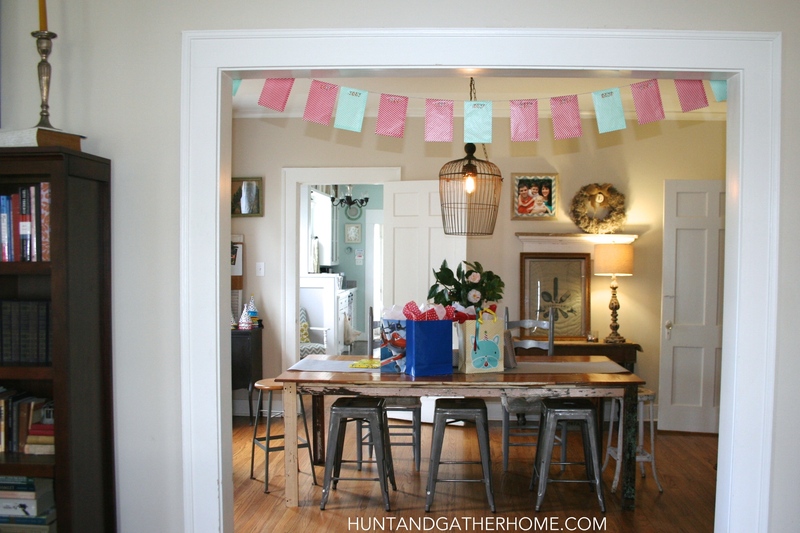 Any good party needs some fun and festive, DIY garland. There are so many options, it’s easy to go overboard! 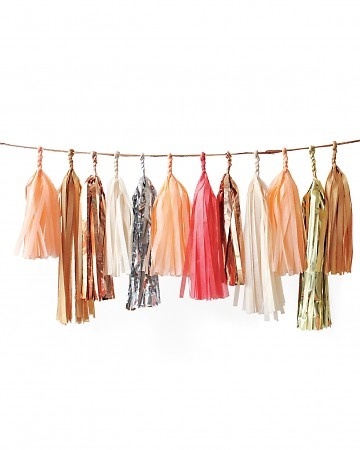 This beautiful mix of pastel and foil strands courtesy of the always fabulous Martha Stewart. An equally cute and perhaps less time-consuming option, thanks to Jones Design Company. Let’s not forget the food. Along with veggies and fruit, frosted animal crackers and goldfish are kid-pleasing favorites and will tie in well with the theme. 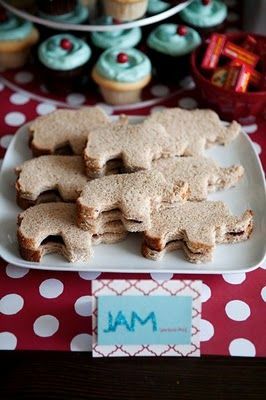 I also love the idea of animal shaped PB&J sandwiches for picky eaters. These dipped oreos aren’t animal-themed, but the colorful sprinkles make a festive addition to any party. 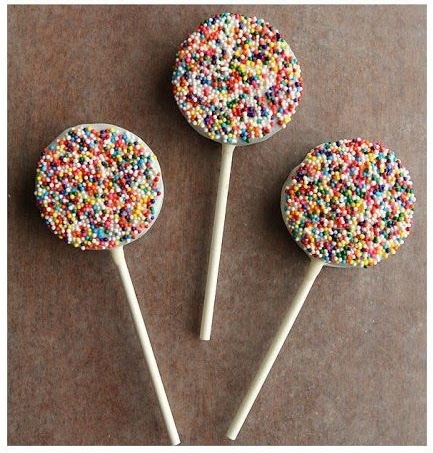 They would also be super-cute to send for a school party treat instead of cupcakes. And finally, favors. 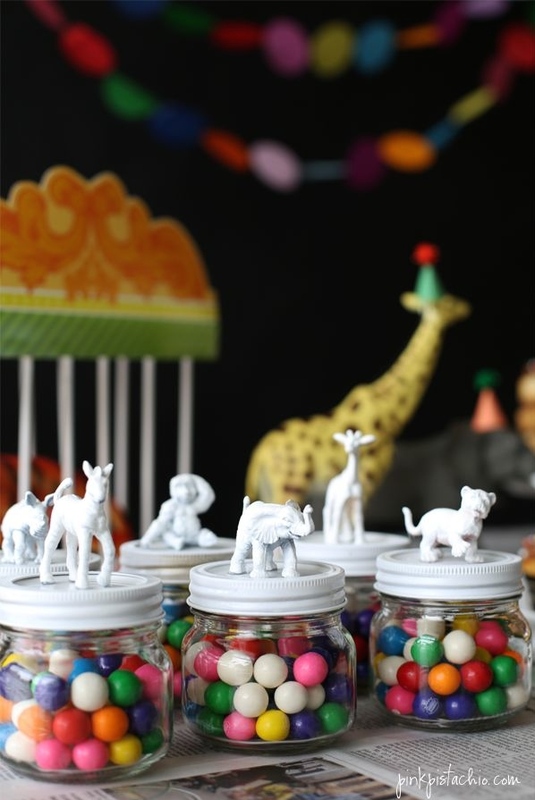 I’m not a huge promoter of party-favors, but these DIY animal-topped jars are pretty cute. You can fill them with a variety of treats if the kids are too young for gum, and the jar can be reused to house a variety of trinkets and treasures. Perfect for have boys who love to collect rocks and bugs and equally as cute for little girls’ baubles and bracelets. 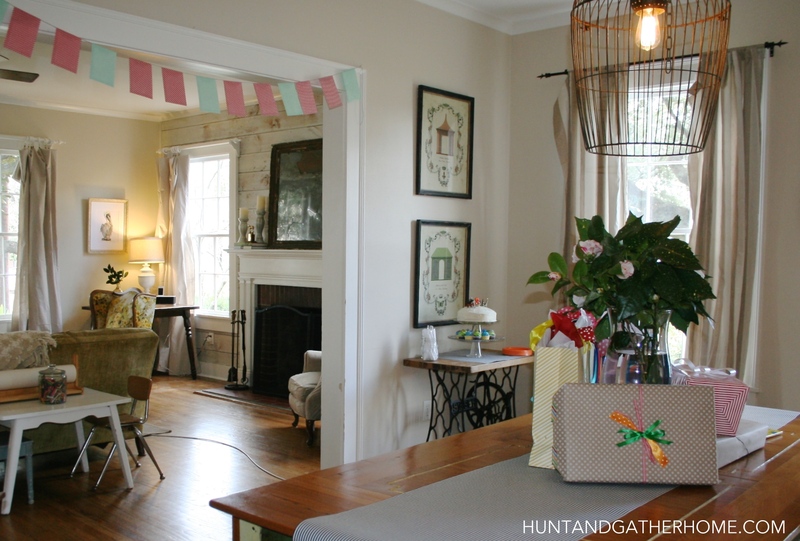 It’s completely unrealistic for me to think I will accomplish all of these projects before the party on Sunday, but it’s fun to dream a little and have some inspiration as I’m preparing and decorating. I’ll let you know what I do accomplish and be back soon with photos of the day. 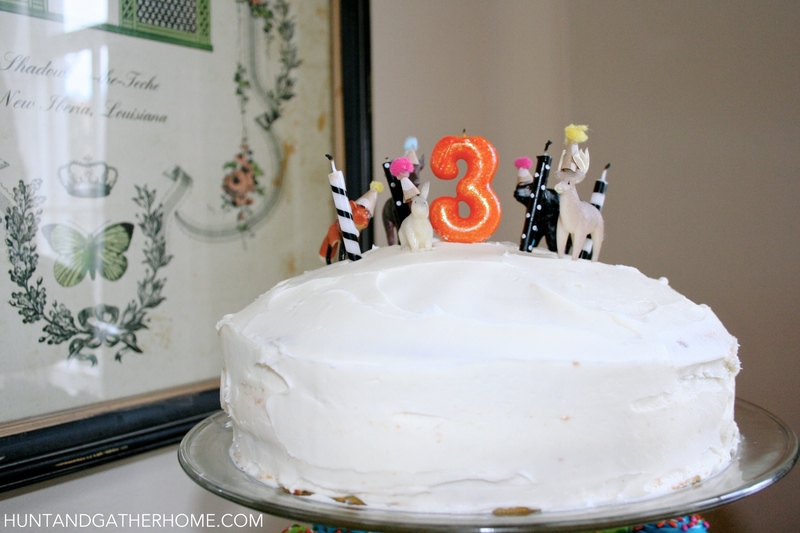 I hope this post spurs your imagination as you plan future celebrations for any littles in your life. 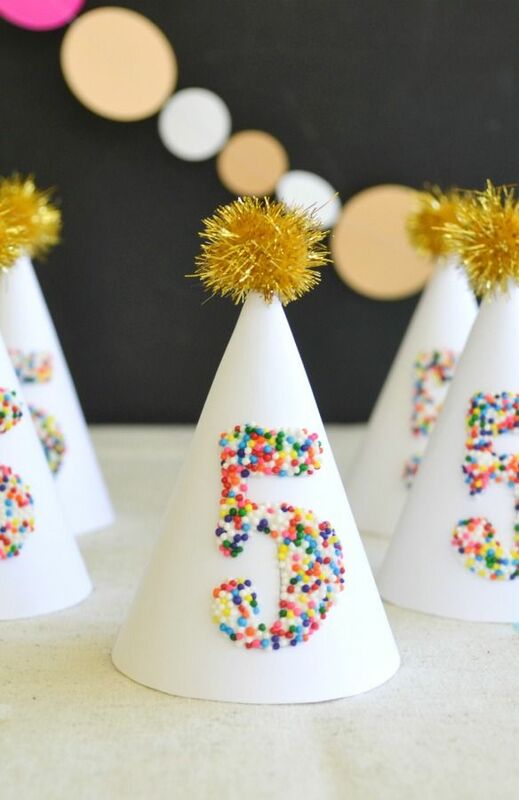 I always strive to find a balance between making my kids feel special and not going overboard when planning their parties, probably erring on overboard more often than not! 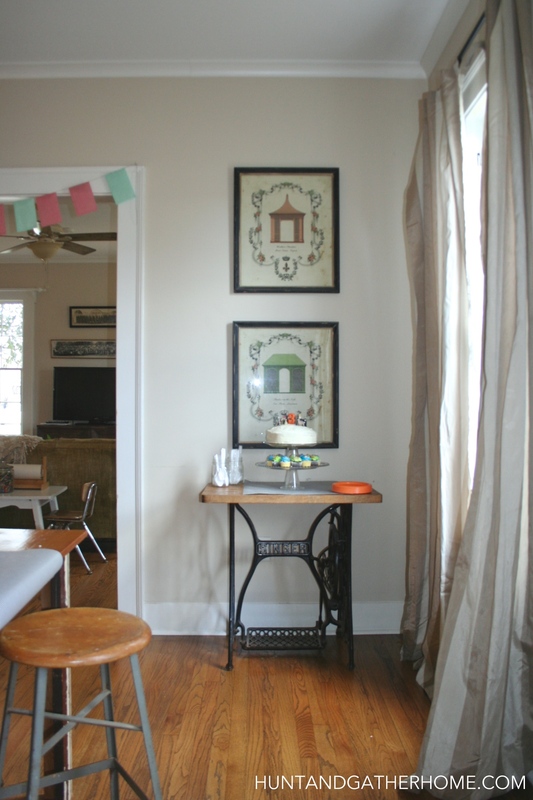 Here’s to keeping parties simple, fun, and kid-focused!